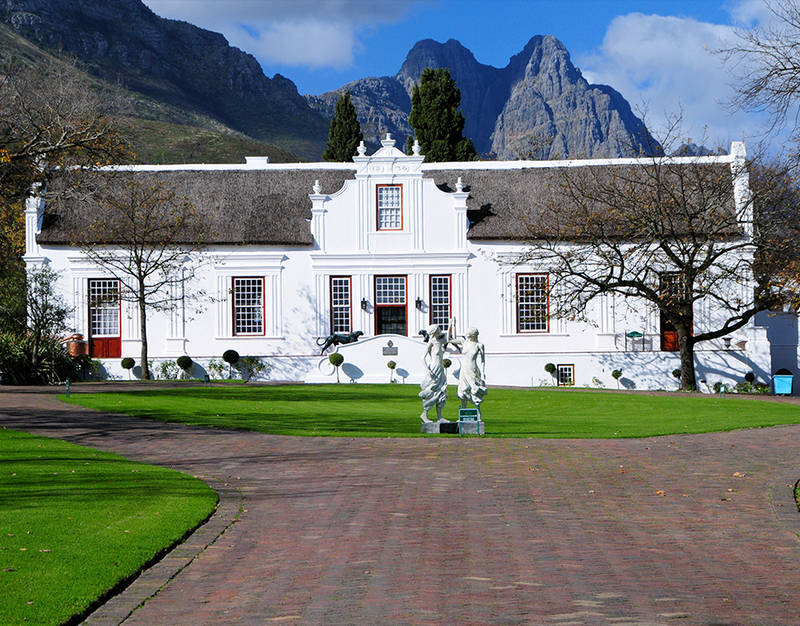 The tranquil town of Stellenbosch is the second oldest town in Southern Africa. Not only is it loved and celebrated by the locals but it is one of the most popular tourist destinations for those visiting in and around the Cape Town area. It is rich with history and provides a pleasing experience to any person, regardless of their interests. Stellenbosch forms part of the renowned Cape Winelands, known for its breath-taking natural beauty and world-class vineyards. If you are a lover of good wine and food, this is definitely the place to be. There are more than 150 wine farms to visit, each with its own unique experience and atmosphere. When one consumes copious amounts of wine it is always wise to fill your stomach. Thankfully eateries are plentiful in Stellenbosch and you can indulge in anything from affordable cafés to elegant gourmet restaurants. Stellenbosch University is one of the most esteemed universities in Africa and is recognized worldwide as a respected academic institution. Because of this Stellenbosch attracts a young and multicultural crowd that leads to a vibrant and well-known nightlife. There is an abundance of bars pubs to enjoy in this town. Some of the most popular among them are the Mystic Boer, Bohemia, Klein Libertas, Aandklas and Tollies. There is always something on in Stellenbosch. Throughout the year it is host many events such as literary festivals, art exhibitions and live music gigs. Stellenbosch’s geographical location also makes it a popular destination for outdoor activities. Even though the town itself has its share of natural elements, with oak lined streets and grassy parks, it is the surrounding areas that will make an outdoor enthusiast’s heart race. You can climb mountains, enjoy horse trials, cycle trails and hiking trails, and even take a trip in a hot air balloon. Another must-see attraction, on the outskirts of the town, is Butterfly world. This tropical garden will not only expose you to a massive variety of butterflies but you will see other animals such as guinea pigs, exotic parrots and monkeys, all of them roaming around freely. Luckily the snakes and spiders are safely behind glass cases. Don’t miss Stellenbosch if you ever find yourself in the Cape Town area. It is truly a must see for anyone making the trip to the Western Cape. It’s the World Cup again…already?